Since its formation in 2000 as a local brokerage business, ITI Group has grown into a diversified financial services company offering multi asset class capabilities, global execution, sophisticated risk management systems, high-level customer support, comprehensive portfolio reporting and capital introduction for professional asset managers. We offer to our clients transactions in fixed income, equity, currency and commodity products, primarily for institutional clients such as corporations, financial institutions and investment funds. We also provide clearing and custody services on stock and derivatives markets such as MoEx, LSE, CME, CBOT, NYSE, NASDAQ as well as provide financing, securities lending and other prime brokerage services to institutional clients. ITI Group is a technologically innovative brokerage and financial group with focus on providing high-quality order routing and electronic execution services. JSC Investment Company ITinvest (Moscow) historically is one of the most active brokers on the derivatives market - derivative section of Moscow Exchange (MoEx), where it firmly holds #3 rank by market turnover for 2014 exceeding USD 204 bn for 2014. On MoEx spot market ITinvest holds #7 rank with total USD 10bn fpr 2014. Since September 2013, when non-banking organizations were qualified for trade on MoEx Currency section, ITinvest has become one of the leading players in this highly liquid and volatile market now holding annual trading volume of USD 13 billions in 2014. ITI Group offers a pure brokerage model without any conflicts of interests. The Group keeps to conservative policy. Executing clients’ orders It working only with highest quality counterparties, minimizing operations bearing unhedged market, fx and other types of risks. 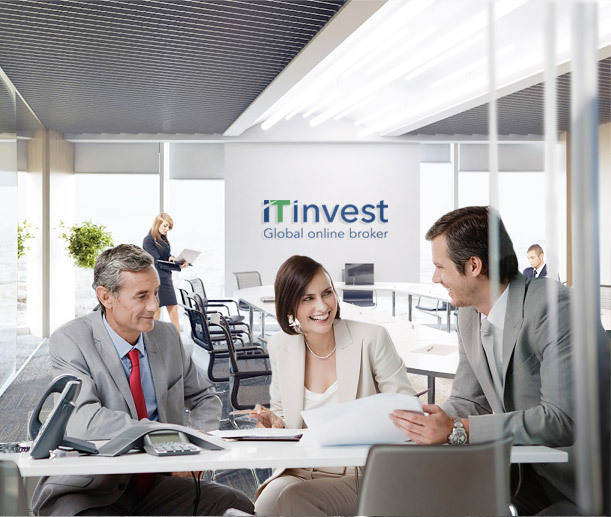 JSC ITinvest was established and received brokerage and custody license in Russia. The trading terminal “SmartTrade”, developed in-house by IT R&D team, revolutionized the Russian financial market of the client front-end terminals, bringing it to new heights of service and adding multiple unique technical features for professional traders. Clients of ITI Group started electronically plugging into “SmartTrade” their own algorithmic automatic trading systems. That allowed ITI Group to expand the open-source clients audience of “SmartTrade” application and become the true market leader in algo/HFT client segment. Russian Funds Group became the controlling shareholder of ITI Group. ITI Group launched new direct exchange terminal “SuperTrade”, designed specifically to address the needs of arbitrage and intraday traders. Clients of ITI Group started to connect their certified algorithmic software to exchange gateways on FORTS market using the broker co-location service. ITI Group trading volumes exceeded 1 million trades every month. 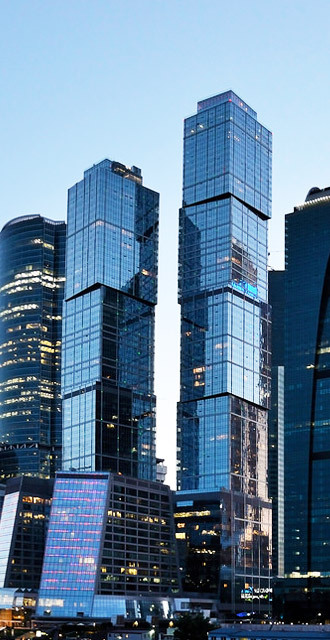 ITI Group became the market leader in Russian derivatives market FORTS measured by annual turnover. ITI Group launched “SmartCOM”, fully functional proprietary Application Program Interface (API). As a result the core trading platform of ITI Group opened its gateways for any external algorithmic software using market data and parameters of the client account. ITI Group continued as market leader in FORTS derivative market with overall monthly turnover of more than 1 trillion rubles (33 billion USD). Such a turnover was the record benchmark achieved in a single section of Russian market throughout its history. Presented new generation of front-end trading terminal and “designer of robots” tools under the brand of “SmartX” with in-built system of risk-management with individually adjusted parameters. Launched brand-new front-to-back integrated system nucleus “MatriX” with its own in-built system of risk management. While trading similar asset classes on different exchanges and trading systems, “MatriX” analyzes all risks and allows the cross-margining of assets. As a result clients operate in more efficient collateral management mode and can get higher total leverage on their positions. Upon launch, clients very quickly appreciated the advantages of the new technology which benefited the market positions of ITI Group as a broker targeted towards professional and institutional clients. Introduced “Option-Lab Trade” – a dedicated trading and analytical service for clients specializing in trading options. Controlling stake of ITI Group was acquired by international institutional fund DaVinci Private Equity Fund II. “FIX-Direct” service was launched covering the needs of algorithmic and HFT clients using the direct connectivity to MoEx currency market. Expanded the capacity by introduction of “MatriX” reserve trading system, which guarantees business continuity for clients trading in the period of instability or planned service of main trading software. ITI Group discontinues its proprietary trading business following the group strategy to concentrate on a pure brokerage model. All ITI Group trading software has been unified under the brand of ITTrade. ITI Group started providing access to LSE, NYSE and Nasdaq markets.